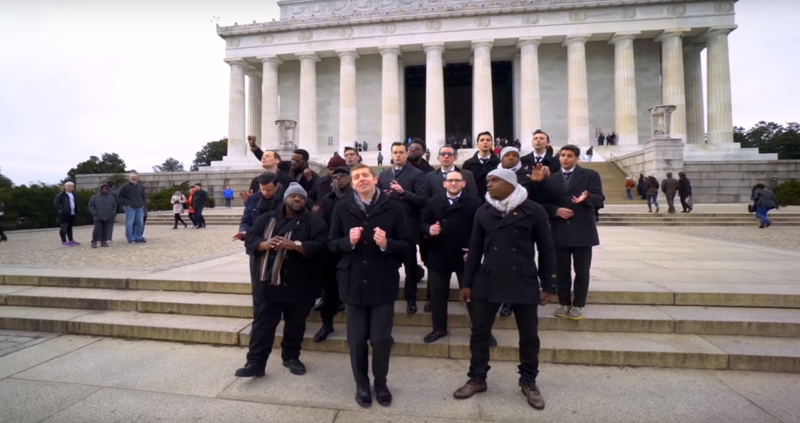 The Maccabeats are back yet again, and this time, they’re paying homage to Martin Luther King, Jr. Day. Their new song is a James Taylor cover of “Shed a Little Light,” which is a collaboration with Naturally 7, a seven-piece vocal group that combines elements of R&B, pop, soul, and beatboxing. You know this mash-up only means one thing: This song is awesome. I love when music (and art in general) brings awareness to cultural, social, racial, and political issues. For kids especially, this song could be one of the first times they learn about race, and the history of the Civil Rights Movement, outside of a dull textbook. And let’s be real, all textbooks are boring. And Martin Luther King Jr. should be more than just a name in a history book. Can grow free and strong.